Pop up – one of the most effective means of improving website conversions, decreasing bounce rates and bringing more profit to your online business. We are definitely speaking about a clever usage of popups in well-constructed popup campaigns presented in the best way. Besides cool ideas of starting a productive popup campaign, one of the most important things in the process is having a good pop up creator tool. Popup Maker is there to provide you with all the essential options to create a custom pop up for any type of website, all on your own! You don’t need a help of developers to create good popups and run an effective pop up campaigns on your website. It’s super-duper easy to create beautiful and multi-functional popups with Popup Maker. 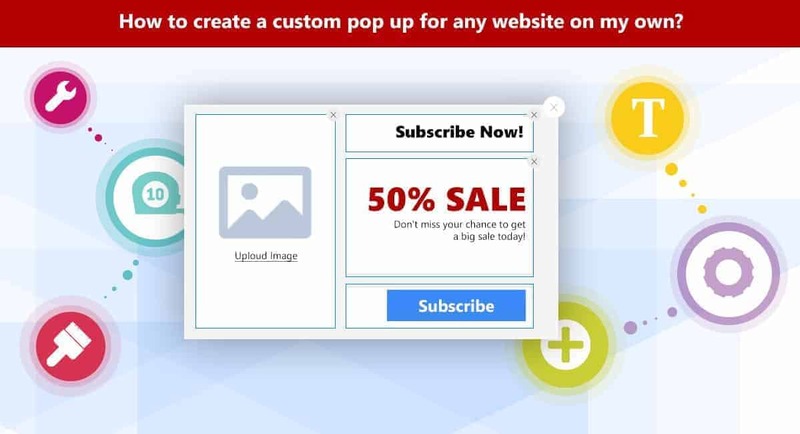 Popup Maker provides you with 2 options of creating custom pop ups for your website – From Scratch and via Templates. The so-called “From Scratch” method of popup creation is the one where you build all the look by yourself. 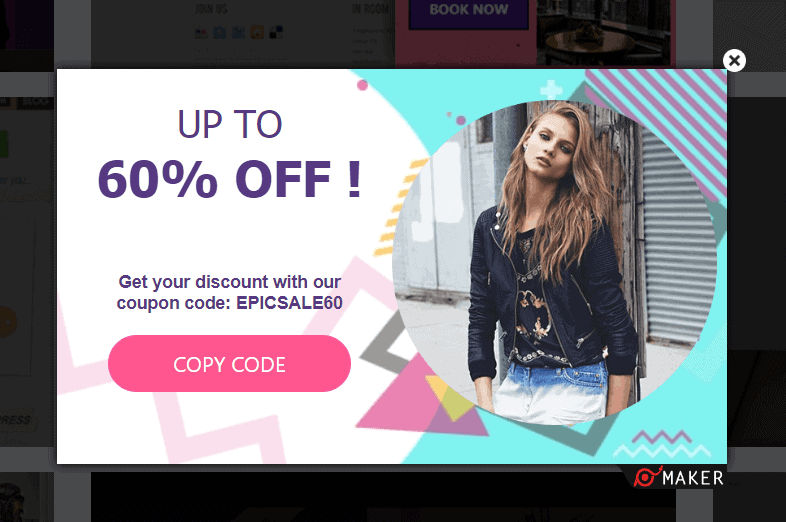 Add any elements you wish into your popup, add images, set up the sizing and the rest of the customization options to have the desired results. There are 14 popup elements available for your choice to include in your popup and have the desirable look and feel. 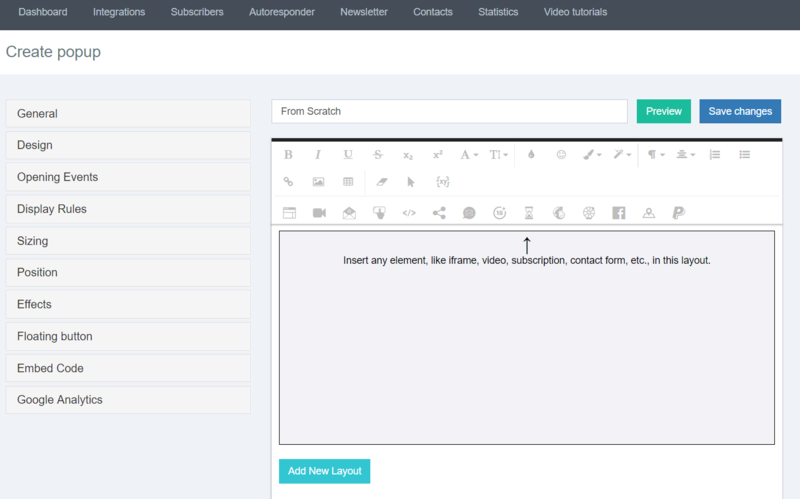 Contact form and Subscription forms, Button and Floating button and PayPal button elements, Countdown, Spinner, MailChimp, Age Restriction, and many more super useful elements are provided for your choice. The process is very easy even for a newbie and non techie person. You simply click on the element and it’s added to your popup content. Here’s an instructional article for detailed steps of creating a custom pop up from scratch: How to create a new popup from scratch? The second method is creating popups via Templates. Anything is possible to achieve with 50+ beautiful and completely customizable templates! Popup Maker comes with popup templates for any case, with a great variation of design solutions. What you need to do is simply select one of the provided popup templates and implement them on your website. What we mean by saying “completely customizable”? This means that all the elements in the template can be changed, replaced to maximally fit your preferences, website style and design. Check this super helpful knowledge base article to have a better understanding of the usage itself: How to create a popup with a template? How the popup appears is the most important aspect of the whole popup campaign. This is what we name “triggering events”. That’s the very first step of catching the reaction of the visitor. It’s all about appearance and first sight. There are various triggering events for popups, and Popup Maker has gathered them all in this simple, yet powerful pop up creation service. Let’s check them one by one and see the use cases for each type. * “Subscribe with group” popup template was used for this popup. A popup with this event will appear automatically, when the page fully loads. The best use of this event is setting a time delay for its opening. This is a perfect practice not to irritate the users, and not get penalized by Google. One of the advantages of this event is that you can use the “Repetitive” mode to show the popup repeatedly, after specified amount of time. 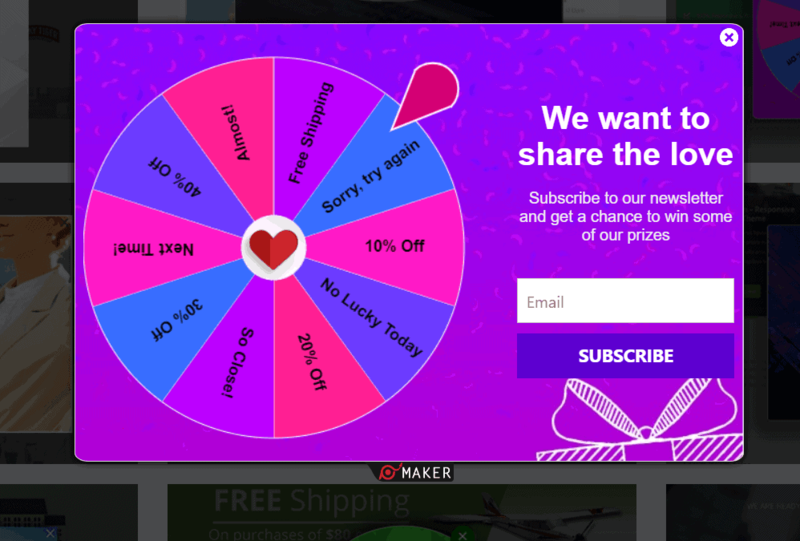 * “Subscribe to win” popup template was used for this popup. This is one of the best engaging events for any popup type. You simply specify the percentage of your page, scrolling and reaching which the popup will be triggered. Showing a popup with this event is a good practice for bloggers, for example. Add a subscription pop up to your blog posts, with on scroll event. This is a proven way of collecting subscribers, as if the user has scrolled the page and reached some specified part, this means they are interested in your posts. And this is a proof they will be eager to subscribe to your newsletter. 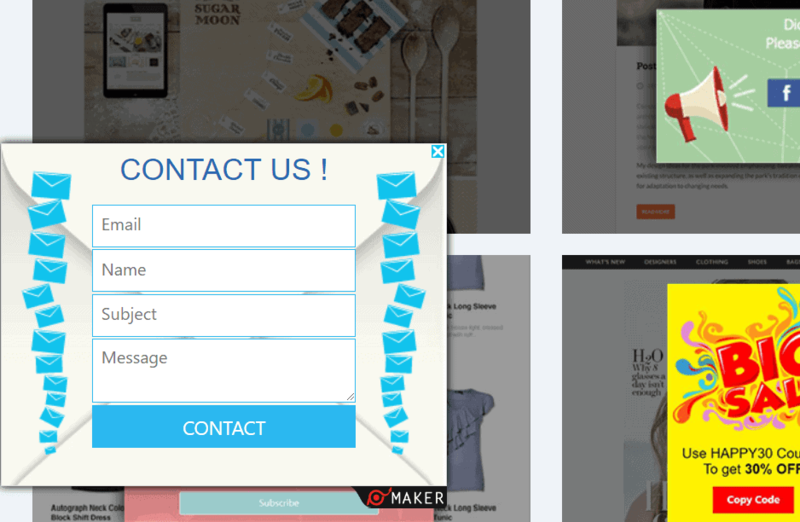 * “Contact us left bottom” popup template was used for this popup. Click-triggered popups are one of the most optimal ways of showing some content, like forms in a popup. This is the best way to get rid of additional content on your website, showing them in a beautiful, tiny popup. For example, you can show your Contact forms in popups. 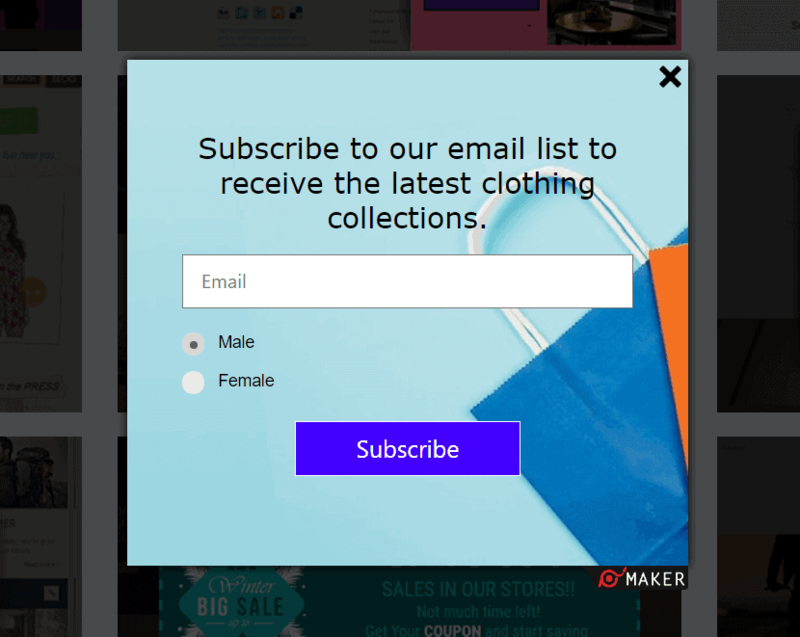 Simply have one button on your page that will open a popup with the form, instead of placing the whole form on the page. * “Summer sale pop up” popup template was used for this popup. This pop up triggering event is the best way of showing “hidden” offers in the content. You add the custom pop up on a text or some other element in the page content. And it appears suddenly, when the visitor is simply rolling over your pages. A great instance of an “on hover” popup can be the product short description on an eCommerce website. This is just a perfect way of attracting more customers to your online shop. As this is a very convenient way of checking out the description of the item without going to that product’s page separately. 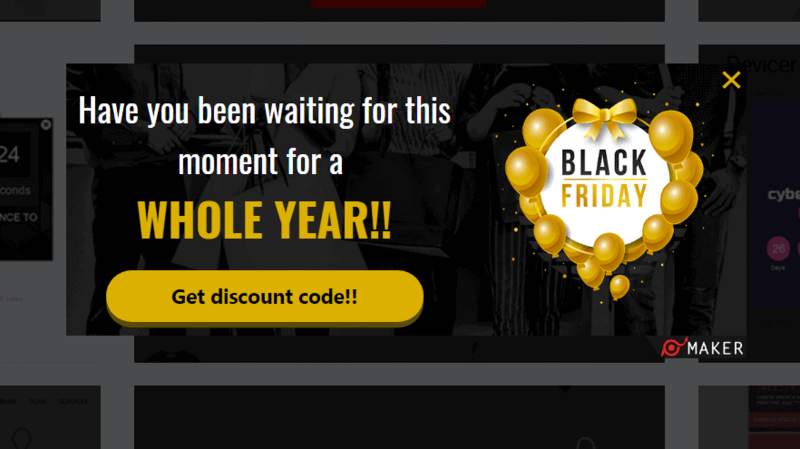 * “Back Friday Discount” popup template was used for this popup. This is the very special event of all the triggering events out there. No other event can be more engaging and effective than exit intent. This is a real time conversion, just when the user tries to leave your website. Use this triggering event with a nice popup offer and you have all the chances to bring the user back! What is more exciting about this event is that Popup Maker makes it work even on mobile devices, which is a rare thing in the sphere. So you can show a mobile exit intent popup to keep the conversion on any device. * “Discount popup 60” popup template was used for this popup. The last, and no less effective pop up triggering event is the inactivity one. The word itself tells us that this event shows a popup when the user is inactive on the site. You can set a specific amount of time after which a popup offer will appear if the user does nothing on the site for a while. A great example of the usage of this event can be a popup, shown on the checkout page. Offer some discount to convince the user to finalize the payment. 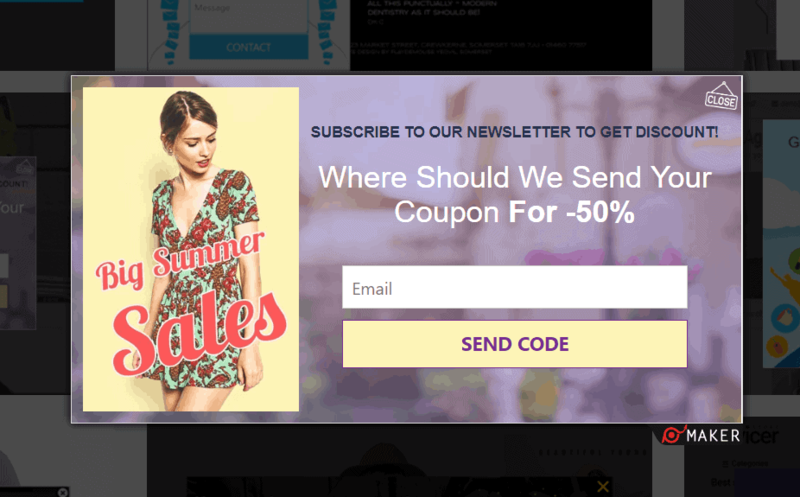 Previous Post:What Are the Best Coupon Popup Solutions for eCommerce Websites?